In the early 1930s the New Zealand government introduced a scheme to subsidise unemployed men who worked at goldfields supervised by government workers. This photograph was taken at the Golden Hope settlement near Murchison, where 45 married men and their families, and some single men, lived in log cabins and dug for gold. 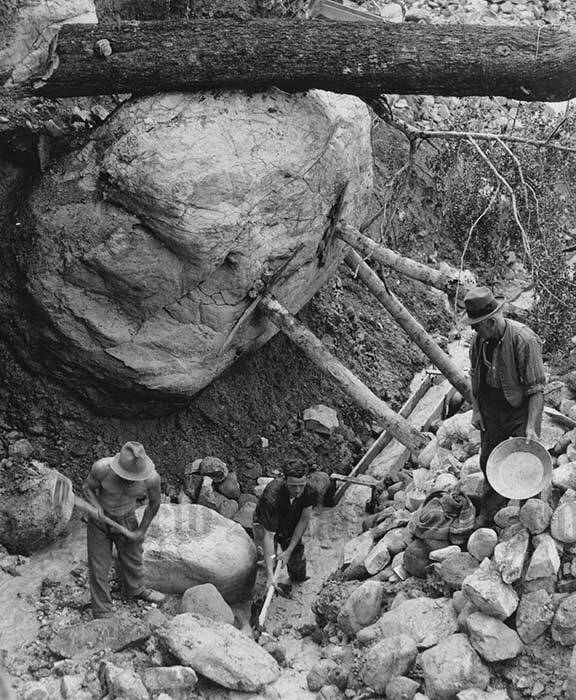 In this view the government supervisor, Mr G. Morgan, holds a gold pan, while two men work gravel into a sluice box.